Sure, the part after the baby comes can be more than a little tricky. Nursing. Incontinence. Sore joints. Relationship changes. Self-image. You name it… But what if your struggles start years and years before you ever become a mom, as you face the crushing reality of infertility? 1 in 6 Canadian couples faces infertility — if not you, your friend or sister or that mama next to you in your BB class. Infertility is a common, but still private and humbling struggle. At BB, we’re proud to create community that celebrates every kind of pregnancy, birth, and postpartum experience. 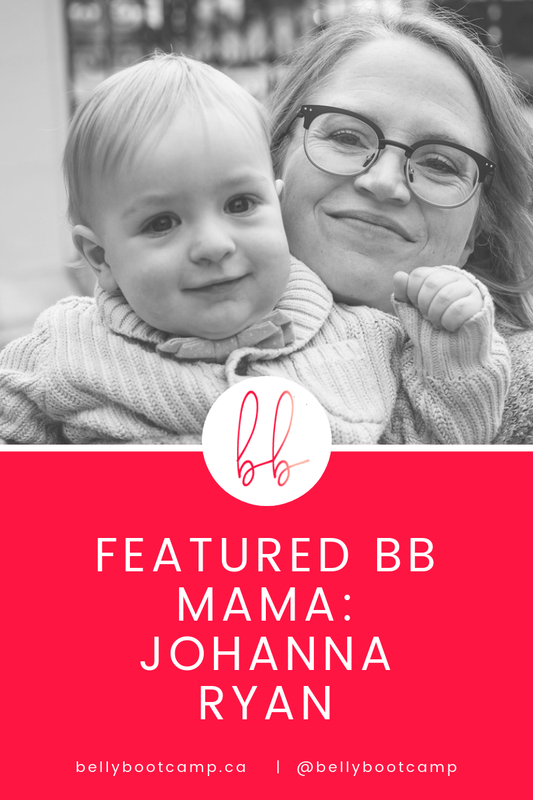 For Johanna, motherhood was worth every kind of sacrifice: her career, her physical comforts and even her self-image and inner peace. Would she go back and do it all again? In a heartbeat. Was it easy? No. Bringing the baggage of infertility into your new motherhood experience can set a tone of defeat and discouragement. We’re so happy Johanna has found peace, community and confidence since her second son was born. And we couldn’t be happier to be a part of her motherhood. Tell us how you found the BB community. "Like so many, I’ve danced with depression, anxiety and negative body image. After a few years of what my husband and I called “not NOT trying” to conceive, we decided to give it our best effort by spending copious amounts of money on ovulation kits and basal body thermometers (not that I could figure out how to use one). The result was the same every month: not a late period, not even a whisper came from my body. No successes, no losses, just a deafening silence. We sought help: we did 2 IUI’s without a response, we did 1 round of IVF and it failed spectacularly. Now after 4 years of trial and error, it was clear there was something wrong with my eggs, even though I was only 35. Each month, there was new hope and each month a new disappointment. 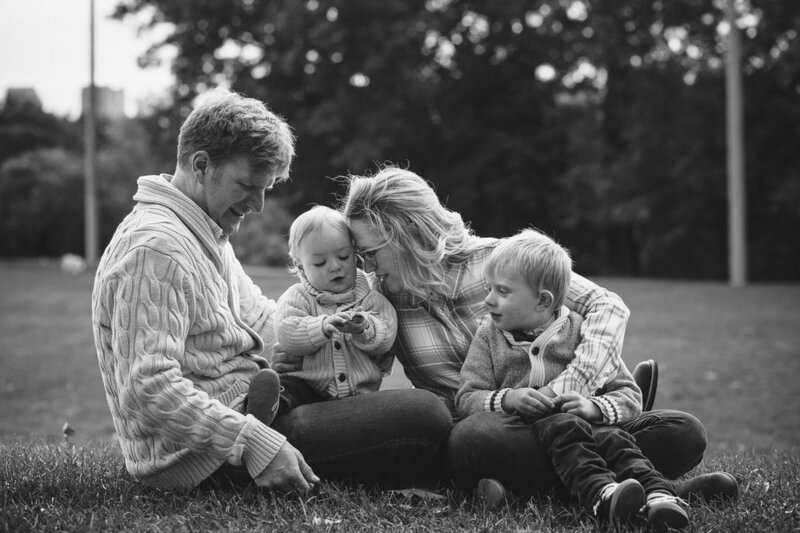 I quit a career-building job to channel all my energy into building my family and I worked in menial positions until my husband and I decided to find an egg donor in the US to help us start our family. I’ve had two beautiful sons thanks to that donor and the wonderful doctors who helped us, but pregnancy and motherhood alone didn’t remove all that heavy sadness I’d stored up over such a long period. I suffered from PPD with my first baby, not that I knew it at the time, and I stress-ate halloween chocolate bars (those delicious little friends) and every other single terrible thing I could get my hands on. Nothing in my closet fit me anymore and shopping for new clothes became really depressing. I didn’t want to leave the house. During the 2nd pregnancy I gained a bit more weight and felt even shittier but I began to see things a little more clearly: I needed help. I found a great psychiatrist who prescribed medicine that I started the moment that 2nd little man was out of my womb. To make a long story short, taking that control back gave me hope and with the medication I actually felt joy again. I was reminded that I was worthy of being taken care of too, and that it was time, once again to look in the mirror. The infertility was over, I no longer had to be defined by it and I now had everything I’d always dreamed of. BB is all about body-positive health. What has it been like for you, growing to love your #mombod since you became a mama? As I mentioned, body image is a huge issue for me. I’ve rarely been able to look into the mirror and feel satisfied with what’s looking back. It’s really hard to block out society and the media when you don’t look like a suggested image of what is acceptable in today’s world, even if it’s unhealthy. After all the sadness of infertility, the above-mentioned stress-eating, and the fertility drugs which also contributed to some weight gain, you’d think I could forgive myself a little for having a giant muffin top. After all, it is made predominantly of muffins. However, when I’m feeling down and I need my own support the most, I really struggle with being kind to myself. Perhaps that’s 42 years of mental programming but it’s damaging. The great part about exercise is that, for some reason, it makes you see your body differently. For me, I begin to like my body a little more even if it hasn’t changed that much. I’ve found that when I train, I feel strong, physically and emotionally… and I need that reminder. I've also fully embraced the community of fantastic mamas that make up BB. I was very reticent to be involved in any mom/baby activities with my first child because I feared attack and judgement from other moms. After my second child, I realized that acceptance is easier when you stop caring about what other people think of you and you shine your best self outwards. People shine their best selves back. You meet really nice people and you make excellent friendships. "I don’t love cardio that much anymore, and thanks to my pelvic physio I’m forced to choose the low impact versions of things so I’d say the side-shuffle and other pelvic-floor-friendly cardio options at BB are a bit of a nemesis. Sometimes I think they’re actually harder than just plain old running. I’m actually out of breath thinking about it! Moving on…"
Imagine a perfect day of healthful meals made for you. And go! "I’m going to be boring and say I’d start that day off with some sort of lovely egg dish - perhaps a type of breakfast burrito replete with avocado, tomato and onion. I love an avocado. I’d then snack on some almonds and a perhaps a piece of fruit later that morning. At lunch I would have a lovely grilled salmon or chicken on a bed of hearty greens - kale, spinach, swiss chard - and other veggies on top and perhaps some type of berry with a drizzle of a balsamic vinaigrette. In the afternoon, I would have a snack of plain greek yogurt topped with some low-fat, low-sugar granola. For dinner, perhaps a turkey-chili would do the trick, in a tomato-onion-garlic base (obvi) with an assortment of beans, peppers and I might even sneak some zucchini in there too. Nailed it! On top, a dollop of plain greek yogurt and some grated, low-fat cheese. My kids would think all this was great too and I wouldn’t have to fight with them at all at the dinner table. Pasta would be banned. It would be great. Share some advice for the mama struggling to make time for self-care. "Think about what your needs are and what makes you the BEST you. The best care you can give your family starts with the best care you give yourself. Attitudes about physical activity, body image and healthy eating trickle down to the little people in your home. Think about how you’d like your children to see themselves - is it in a loving and supportive manner? I’m no expert by any stretch of the imagination but I think the best way to teach them a healthy lifestyle is to recognize the importance of your own health, be it physical, mental or emotional. Find something physical to do and go for it!" Tell us how you're going to be awesome in the next year! Define yourself in just 5 words. Ready to feel strong and supported? Check out our schedule and find your tribe at BB.